Lamar Odom saw recent reality TV fame through his four-year marriage to Khloe Kardashian. It was a humiliating and tragic low for an NBA star who once soared so high: Lamar Odom, former Los Angeles Laker, was carried unconscious from a brothel Tuesday afternoon. Authorities tried to fly him out — but, at 6 foot 10, he was too tall. And, as TMZ reported, he is now in a coma, his heart failing. ‘‘It’s not good,’’ a source told TMZ. The scene of Odom’s collapse — the cause of which is not yet known — was Dennis Hof’s Bunny Ranch in Crystal, Nev. Employees at the Bunny Ranch found Odom unconscious in his room with ‘‘mucus-type liquid coming out of his nose and mouth.’’ Hof, the brothel’s owner — featured in HBO’s documentary series ‘‘Cathouse’’ — told NBC News Odom was taking ‘‘herbal Viagra,’’ and ‘‘he was taking a lot of it.’’ The Mayo Clinic warns that products claiming to be natural forms of Viagra can cause dangerously low blood pressure. The Rev. Jesse Jackson, who visited Odom at the hospital, said doctors believe he is recovering after being totally unresponsive Tuesday. As the world awaits news of Odom’s condition, the episode seemed yet another in his tumultuous personal life: drug problems, a father who was a heroin addict, a mother who died of cancer when Odom was 12, the death of a daughter from sudden infant death syndrome. And, of course, Odom’s transition from a real character — a formidable one — to a reality character as a towering prop for Khloe Kardashian. At first, it seemed like fate: After a whirlwind 30-day courtship, Odom and Khloe Kardashian wed in 2009 — on TV as well as in real life. As seen on ‘‘Keeping Up With the Kardashians,’’ Odom proposed on camera. He declared his intentions to Khloe’s family on camera, facing of the disapproval of Caitlyn Jenner. And, of course, the wedding was too good not to film. Even as the ink dried on the marriage license, there was talk of a ‘‘Kardashians’’ spin-off starring the newlyweds. ‘‘I’m seriously thinking about it,’’ Ryan Seacrest of ‘‘American Idol’’ said at the time. Seacrest didn’t take much time to think. In 2011, ‘‘Khloe & Lamar’’ hit E!. From the beginnning, Odom seemed a bit stressed. Indeed, he almost pulled out of his ‘‘real’’ life. That ‘‘first career,’’ however, was quite a spectacular one: By the time ‘‘Khloé & Lamar’’ aired, Odom was in top form as the Lakers sixth man. He knew his wife and her audacious family might distract him from the game. The parade of death in his life — in 2011, when he was involved in fatal car crash the day after he buried his cousin, he said he was ‘‘breaking down mentally’’ — was distracting enough. 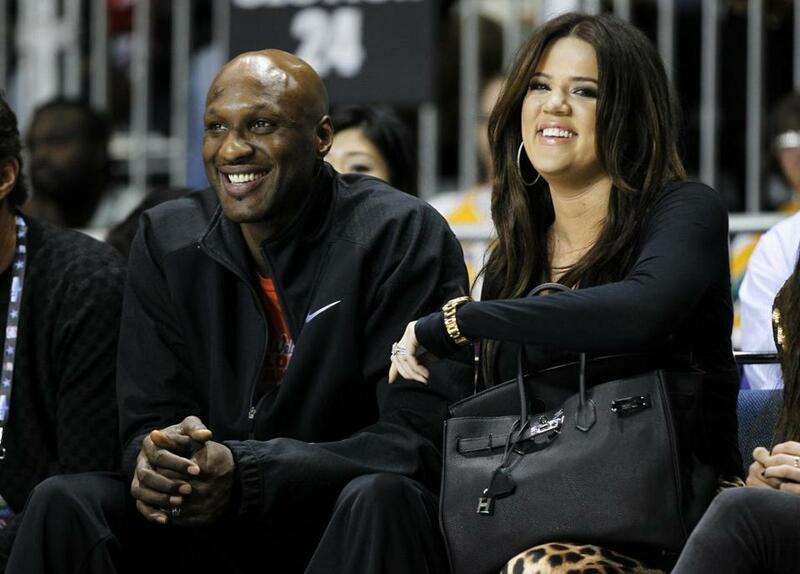 But he wanted ‘‘Khloé & Lamar’’ viewers to see him in action — not resting during the off-season. And the Lakers were willing to go along, providing the reality show game footage and access to the Lakers’ locker room. ‘‘The Lakers, of course, had their concerns when I went into this, but I made the promise to them that I would remain the same player, if not try to get better,’’ Odom said. Unfortunately, it didn’t quite work out that way. Though Odom performed well, he was sent to the Dallas Mavericks in a surprise trade in 2012. And he wasn’t happy about it. Most ballplayers who find themselves unexpectedly shipped out have the chance to work out their troubles on the court. But Odom had to work them out on E! as well. His career crisis would be seen twice — first on ESPN, then by millions of Kardashian fans. In one episode, as Khloe shopped for a place in Dallas — a city she had never been to — Lamar yawned, looking miserable. Odom ended up back in Los Angeles with the Clippers later that year — Bleacher Report called his play ‘‘putrid.’’ When he became a free agent in 2013, the team didn’t sign him. Meanwhile, life with Khloe was on the rocks. ‘‘Khloe and Lamar’’ was canceled after two seasons — or, depending on who was spinning the tale, just put on hold as the couple claimed they needed a break. There were reports of Odom’s drug use, Khloe’s intervention, a DUI arrest and a trip to rehab. A bizarre tape of an apparently intoxicated Odam rapping about cheating on Khloe surfaced. The couple split, finally divorcing earlier this year. In an episode of ‘‘Keeping Up with the Kardashians,’’ Khloe put the collapse of her marriage forward as a PR problem. Odom’s father blamed his son’s woes on the Kardashians. But, in dramatic comments captured by TMZ just two months ago, Lamar railed against the tabloid culture his ex-wife is at the center of. Odom condemned the media frenzy that was a fundamental part of his marriage. Still, he said his love for Khloe had been genuine. The damage, however, was done. ‘‘Y’all have discredited me, beat me down, took my confidence,’’ he said. The result? Nobody would pay him to play: ‘‘Can’t nobody bounce a ball better than me, and nobody wanna f- with me,’’ he said. 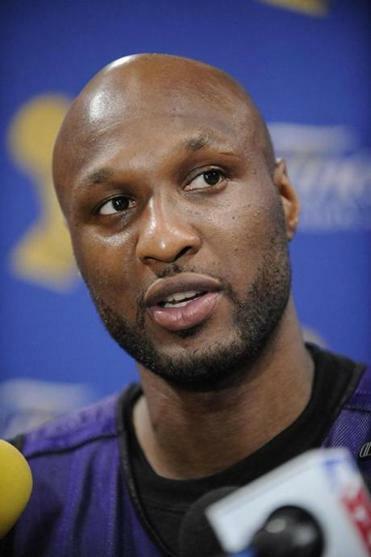 Even divorced and unconscious in a brothel, it seems, Odom cannot escape the Kardashians. His hospitalization quickly became part of Khloe’s narrative.